This 4-day whirlwind historic adventure will teach your group so much about the Civil Rights Movement in Alabama, an unforgettable education journey that everyone will enjoy! Birmingham Civil Rights Institute -Birmingham had a tempestuous history involving the Civil Rights movement, making it one of the most sought-after historical cities for student groups learning about the era. Built to be one such educational attraction, the Birmingham Civil Rights Institute represents the struggles, events, and successes of the movement in the 1950s and 1960s. Located in the Civil Rights District, the Institute is nearby other significant sites such as the 16th Street Baptist Church which once served as the movement's organizational headquarters, as well as Kelly Ingram Park and others. Within the interpretive research center, your student group can see amazing installations of sculptures, art, historic artifacts, and true-to-life retellings of events as they occurred. Allow your students the opportunity to wend their way through history via exhibits depicting the history of African American society in America and their push for civil liberties, equality, and integration. 16th Street Baptist Church - One of the most critical parts of both the historic and present African American community here in Birmingham will comprise your next stop, the Civil Rights history hotspot being the 16th Street Baptist Church. This church first opened in 1911, though the force behind the church was first founded in 1873 (First Colored Baptist Church of Birmingham). This church provides both a unique history to the religious community and civil rights activists here in Birmingham and also a current icon of a community still thriving here within the church today. This spot was the very first black church in Birmingham, a church that dealt with segregation and civil rights victories, not before going through its fair shares of trials and tribulations along the way, though. Today you will see the church with the twin towers with pointed domes, the iconic cupola over the sanctuary, and the large basement auditorium lined with classrooms. 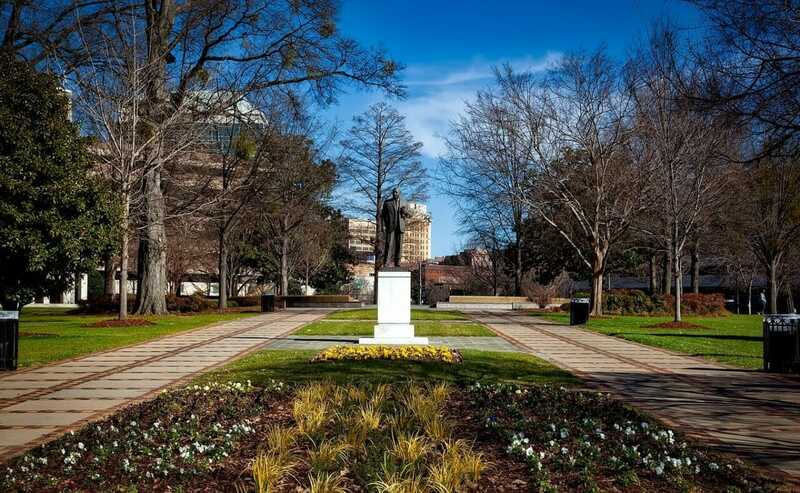 Kelly Ingram Park - While in the Civil Rights District of Birmingham you and your group are going to have to make a quick stop at Kelly Ingram Park, another really important and iconic civil rights hotspot in town. This park, located near Fountain Heights, is a 4-acre social space that was formerly known as West Park. Situated on the corners of 16th and 17th and 5th and 6th, this centrally located park provide guests with highly informational guided audio tours, available through your smartphone. This is the very site of past civil rights rallies, demonstrations, and confrontations in the 1960’s, this spot considered to be the epicenter of the national civil rights movement, the international focus spot of civil disobedience for those demanding equality for a considerable period of time. You can see historic footage of riots that have happened here and learn about the park’s ‘painful and pivotal’ role in the civil rights movement through the onsite sculptures and current living history. Bethel Baptist Church - Your last stop of the day is another historically iconic one, Bethel Baptist Church. Sometimes more commonly referred to as the Church of Collegeville, this modernly designed and locally prominent church has just as much turbulent and triumphant history as the rest you’ve seen today. Bethel was first founded in 1904 under the leadership of Reverent P.M Johnson, serving the purpose of several reverends since then. The church has been bombed three times, renovated with $100,000, and has even served as the headquarters for the Alabama Christian Movement for Human Rights, from 1956 to 1961. The church is still today ‘committed to serving both God and our fellow men as we move from Life to Life’, offering both really excellent history lessons/tours and current worship services. Try to make it during Monday Tutoring, Sunday Worship, or any current community events while visiting the town, you won’t regret the chance to see the inner workings of such a strong church and community. Brown Chapel AME Church - Good morning and welcome to Brown Chapel AME Church, the historically heavy hotspot in Selma that holds more Civil Rights history than most other places in town, even the state! Brown Chapel is considered to be the starting point for the Selma to Montgomery Marches of ‘65, this spot the birthplace of the infamous day known as Bloody Sunday itself. Located at 410 MLK Jr Street in Selma, this regionally and nationally iconic spot once served as the official meeting place and offices of the Southern Christian Leadership Conference, or SCLC. This group played a major role in the events leading up to the Voting Rights Act of 1965, which means that this church did as well! Today the imposing twin towers of this Romanesque Revival Church (designed originally by AJ Farley in 1908) are considered to make up a National Historic Landmark, this spot a highly visited one and highly historical one. National Voting Rights Museum and Institute - One of the most locally iconic places to honor the trials, tribulations, and triumphs of the turbulent past are next to the National Voting Rights Museum and Institute. Located within the historic district right at the foot of the Edmund Pettus Bridge, this spot is literally the cornerstone of the contemporary struggle for voting rights and human dignity. To ‘offer American and the world the opportunity to learn the lessons of the past and assure that we will not make the same mistakes in the 21st century and beyond’ is what this museum aims to do, presenting the past and present struggles in an educational and emotional manner to serve as a living reminder of the future possibilities in this area of life. From the birth of democracy in 1776 to the journey for the right to vote, this museum chronicles and presents it all. Sturdivant Hall - Next stop, Sturdivant Hall, one of the absolute most gorgeous spots in all of Selma (maybe even Alabama as a whole)! Sturdivant Hall, also sometimes referred to as the Watts-Parkman-Gillman Home, is a historic Greek Revival Mansion and House Museum located along Mabry Street, the home first built in 1856. Thomas Helm Lee designed this home for Colonel Edward T Watts originally, a 43,068 square foot home boasting iconic 30-foot Corinthian Columns out front. Your group may tour the beautiful two-story brick home and see the house, the detached kitchen, the gift shop, and the formal garden, as long as you get here between 10 am and 4 pm. It will be really easy to see why this is considered by the state to be ‘one of the South’s best and most beautiful examples of Greek Revival antebellum homes’, not to mention all the history you will learn about with a visit! Old Live Oak Cemetery - Your last stop of the day today will fittingly enough be a cemetery, and a very locally and historically prominent one, at that! Welcome to the breathtaking and somber site known as Old Live Oak Cemetery, Selma’s very own National Historic Registered Cemetery located on Dallas Avenue. Find ‘glory, humor, and pathos in the lives whose stories are told here’, a sentiment expressed by the Official Travel Site of Alabama (Sweet Home Alabama), as well as acres and acres of gorgeous Spanish moss-covered gravestones. Explore the various gravestones and monuments representing local bigwigs (Vice Pres. William King) throughout, as well as the ‘80 live oaks and 80 magnolia trees’ that were planted here upon the township purchase of the cemetery in 1829. Discover the Confederate Monument while here as well, the monument doing its part in shedding light on local civil war and civil rights history. Edmund Pettus Bridge/Selma to Montgomery Trail - Today you will start by seeing one of the absolute biggest Civil Rights historic hotspot in the entire state, maybe the even nation, the Edmund Pettus Bridge/ Selma to Montgomery Trail. This highly iconic Through Arch Bridge carries U.S Route 80 across the Alabama River in Selma, first constructed in 1939 (opened in 1940). The bridge itself is 1,248’, though the span of influential history that has taken place in/around/on it is immeasurable. At the base of the bridge, you will find memorials dedicated to the conflict known as Bloody Sunday, the infamous day in which 600 people marched as far as this National landmark only to be violently stopped by both state and local law enforcement members. This event happened on March 7, 1965, when the 600 marchers were heading east out of Selma hoping to make it to Montgomery. Just two days later MLK Jr joined the effort and the march was tried again, this time Federal District Judge Frank Johnson Jr. in no way denying the right to mobility. Viola Liuzzo Historic Marker - This stop will be more like a quick glance, through the history lesson that comes along with it is worth a few moments out of your day. Along US Highway 80, right in between Lowndesboro and White Hall, you will see the Viola Liuzzo Historic Marker, the marker that signifies the very spot this beloved housewife and mother from Detroit was shot and killed in 1965. Ms. Liuzzo was helping with the Civil Rights efforts of the time by driving marchers back to Selma from Montgomery when she was tragically shot and killed by four Klansmen in a passing vehicle on March 25th. This spot is both tragic and empowering, an event and a life certainly worthy of discussion while in the area. Montgomery Rosa Parks Museum - There is no way you can miss this next major Montgomery landmark, the downtown hotspot known as the Montgomery Rosa Parks Museum. This museum, located on the site of the Old Empire Theatre (site of Parks’ famous 1955 stand), is a major bright spot in the cities revitalization project, the museum drawing in crowds upon crowds of eager history lovers daily. Learn all about the people and events surrounding the infamous Montgomery Bus Boycott here, the entire museum holding permanent exhibits, a children's wing, a time machine, classrooms, archives and libraries, and even a large auditorium. The interactive museum is located on the first floor of the 3-floor building, the 7,000 square feet inside holding six very different, very distinct exhibit areas, each is doing its park in telling the story of Civil Rights Soldiers. Most groups spend around two hours here seeing everything, so plan accordingly! Alabama State Capitol - The Alabama State Capitol is one of the most pivotal places to visit during your entire trip, this spot iconic for both being the first Confederate Capitol, and for serving as the still current state capitol. Here on Capitol Hill, otherwise known as Goat Hill, you will find the 9 sprawling acres full of Greek Revival architecture and more history than you can imagine. Learn all about how the Confederacy started here during your visit, specifically in the original Senate Chamber, though obviously, that did not last very long. Another great historical gem you will learn about here is how the Selma/Montgomery marches ended here, right on the street in front of the building. Your group can participate in guided tours every Saturday from 9-3, a free and highly educational option that gives you much more insight into this shining spot on the Civil Heritage Trail. Civil Rights Memorial - Lastly, today, your group is going to make a quick pit stop at the locally beloved and highly historic Civil Rights Memorial. This memorial in Montgomery is dedicated to the 41 individuals who died during the struggle for equality and integration in the area, and to the fair treatment of all people in general. This memorial was dedicated in 1989 here, a shining spot on Washington Avenue that is truly a spectacular site to see. The monument itself is a large dark granite structure, etched with the names and memories of those no longer here. The amazing architect behind this marvel is Maya Lin, her work of art typically taking groups anywhere from ½ hour to 1.5 hours to see and take in on average. Tuskegee Airmen National Historic Site - Grab some breakfast, grab some coffee, and get ready to see Tuskegee’s finest, your first stop of the day the Tuskegee Airmen National Historic Site. 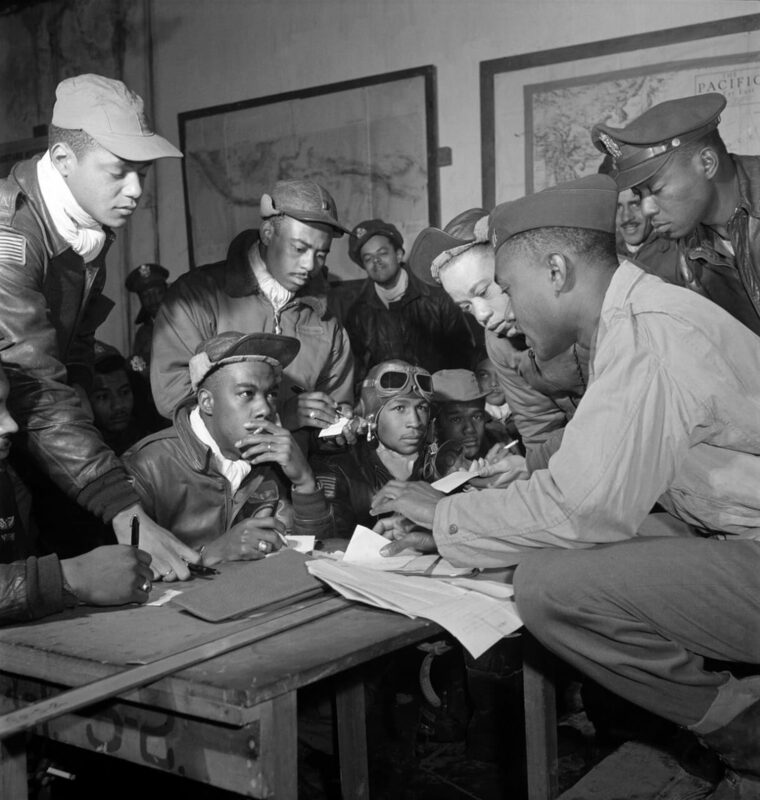 Here at the Moton Field, you will find the spot in Alabama that is solely dedicated to the contributions of the African American Airmen of WWII. The US Army established this spot in 1940, a time when ‘Red Tails’ first started wearing stripes in PT-17 Stearman Bi-Planes, and when men of color were considered ‘experiments’ in the world of flying combat aircraft training. This historic hotspot is yet another time machine back into segregation and Jim Crow, the men represented here fighting two distinct wars: the Axis powers overseas and racism at home. Educationally, you will really enjoy the various exhibits, audio-visual history, historic buildings, and guided walks offered here, not to mention all the online lesson plan info! Tuskegee University - Next stop, Tuskegee University, the private and historically black university located in Tuskegee, Alabama. This university was first founded in 1881, established by Booker T Washington with some help from George Washington Carver and Lewis Adams. The Golden Tigers are still thriving here today, a liberal arts-focused school with a 49.2% acceptance rate. This school ‘promotes a student body that is coeducational as well as racially, ethnically, and religiously diverse’. A high focus on discipline, the workforce, and science give this school extra oomph, not to mention it is an easy drive to both Birmingham and Atlanta, Georgia. Save enough time to see the historic side of this school, as well as the present 5 different colleges and 3 different schools inside! Campus tours are always available for any size group! Tuskegee Human and Civil Rights Multicultural Center - There may be no better way to end this trip than with a quick visit to the Tuskegee Human and Civil Rights Multicultural Center. This museum on South Elm Street represents both Alabama state history and the history of Macon County’s three distinct cultures and peoples: Native American, European American, and African American. Inside you will see stories of local ‘triumphs and tragedies, from Civil Rights victories with state and national impact, to a medical travesty of international significance.’ The museum and visitor center together help guests discover the south that helped shape and transform America, from pre-colonial times to the 20th century. Be sure to stop by the Museum Store for your very own ‘Macon Marker’ before you go, as well!